We’ve been rais­ing chick­ens for a num­ber of years. I often write about them on my house­hold and art blog Ms. Shoes. 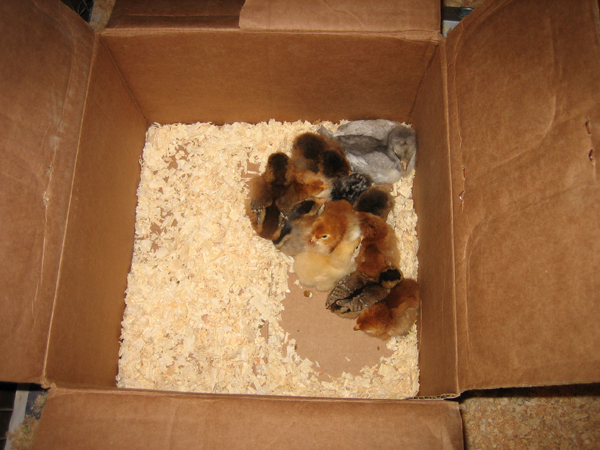 Here’s a look at the process of start­ing a batch of chicks from 2008. They rode home from Mon­roe Feed in a card­board box. 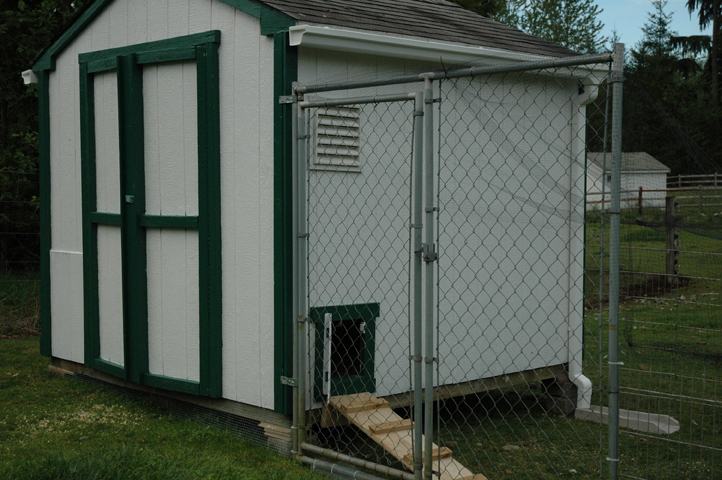 They’ll be mak­ing their home in a repur­posed pup­py pen set up in the feed room for about 6 weeks. It didn’t take them long to find the food! I hate to admit it buy I already have a favorite. The lit­tle Egypt­ian Fay­ou­mi. 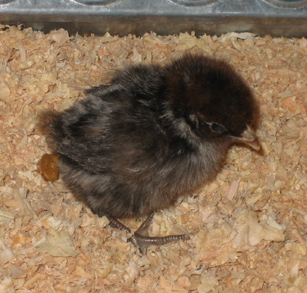 I sus­pect he’s a roost­er but we’ll see. 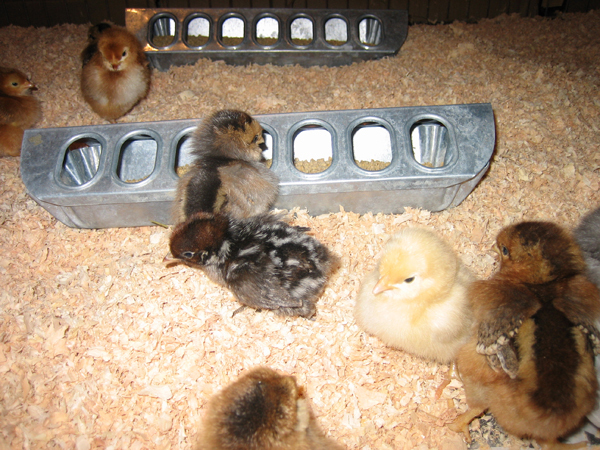 4 — Rhode Island Reds — We’ve had good luck with these before and they can become quite tame. 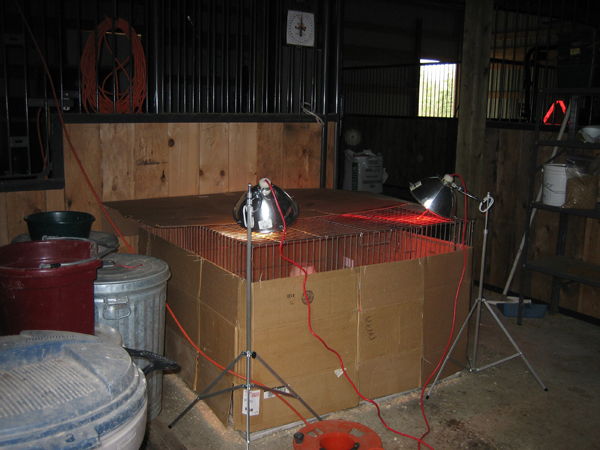 Red Hen used to sit on the sta­ble door and wait for some­one to come by and scratch her back. 3 — Ara­canas — For the pret­ty eggs. 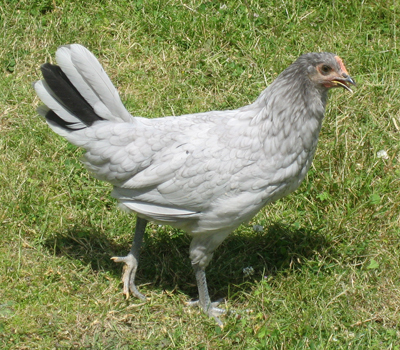 extrav­a­gant tails on the roost­ers. 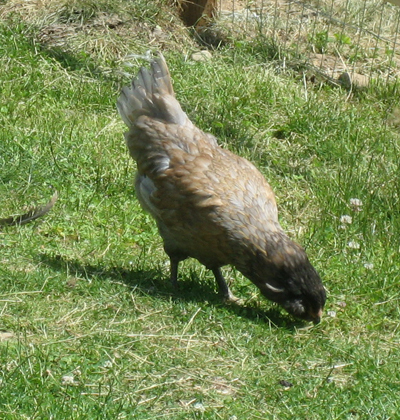 The hens are said to be very calm. 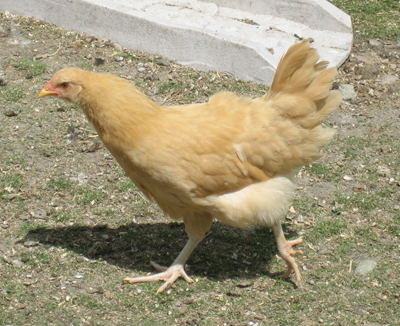 One month lat­er and the chick­en are ready to move out­side. They actu­al­ly spent most of the last month in the shop rather than the barn because we had such unrea­son­ably cold weath­er dur­ing the last half of April. 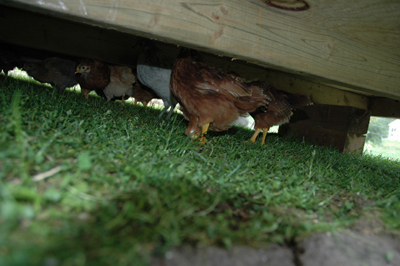 Over the last month we have moved the chick­en coop. And got­ten it fixed up and paint­ed. Sat­ur­day we fin­ished putting the pop door on the coop and built a lit­tle yard for the chicks to use for the next month or so. A prop­er­ly large yard is in the works but putting down fence posts in our rocky soil is not light under­tak­ing. We have to get the back­hoe out and put it on the trac­tor. the new­ly sit­ed cick­en coop. Being chick­ens they do not appre­ci­ate all the time and effort that went into cre­at­ing such an exquis­ite chick­en palace and pre­fer to hang out under the coop. a fine place to hang out. 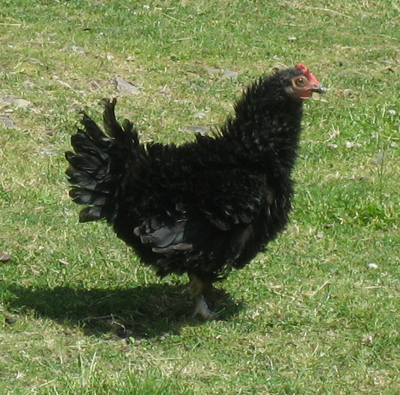 The chick­ens have out grown their lit­tle play-pen yard and need a real fenced yard. We built it last week. You can see the gory details on Ms. Shoes blog. Mean­while here are four por­traits of our birds.